The $4.1 billion pledged by countries for the latest Global Environment Facility’s 7th replenishment identifies nature-based tourism as an investment option for countries to leverage GEF funds to promote investments in this sector. Despite the obvious economic potential tourism and investments in protected areas can deliver, these assets have largely not translated into policies and investment opportunities. That is no longer the case, and Africa is leading the way to promote nature-based tourism (NBT) as a preferred economic development approach. Mozambique and other countries in the region are actively exploring partnerships to leverage their natural assets for economic development that promote inclusive economic development. The government of Mozambique, in collaboration with the World Bank and the Global Wildlife Program (GWP), recently held an international conference to maximize finance for NBT development and promote long-term PPPs that deliver results for people and wildlife. The International Conference on Nature-Based Tourism in Conservation Areas brought together over 500 participants, including the President of Mozambique, former President of Botswana, ministers, and a diverse cohort of policy makers, tourism professionals, local opinion makers, conservationists, entrepreneurs, academia and investors and donors. Attendees of the International Conference on Nature-Based Tourism. This first-of-its-kind conference in Mozambique featured eight agreements and memorandums to facilitate PPPs in conservation areas. The agreements signed by the government of Mozambique with the Carr Foundation, Peace Parks Foundation, Grupo Farquhar, and Millennium BIM Bank, total approximately $600 million in investments. An agreement with the Carr Foundation—which has been working with the Mozambican government since 2008 to restore and protect Gorongosa National Park as a source of tourist income for the local population—will extend the period of joint management of the park to benefit communities in the park’s vicinity. Two agreements with the Peace Parks Foundation. The first agreement will provide technical and financial assistance in the Maputo Special Reserve for tourism development, and the second is aimed at supporting the Banhine National Park in Gaza province to combat poaching over the next three years. 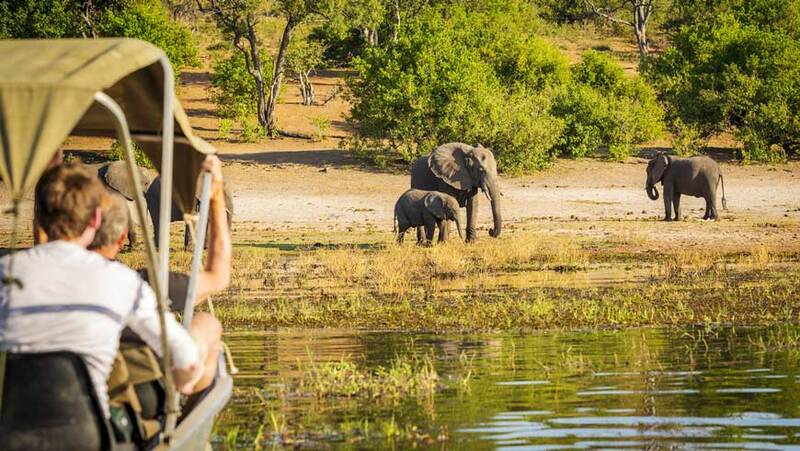 The Farquhar Group will provide $500 million for the fight against poaching, financing of tourist accommodations with 1,500 beds, and community development in Limpopo National Park and Pomene National Reserve. Millennium BIM Bank (the International Bank of Mozambique), the country’s largest commercial bank, will establish a $50 million line of credit for Mozambican businesses wishing to invest in nature-based tourism, particularly in conservation areas. The additional agreements signed were for two tourism concessions in the Bazaruto Archipelago National Park, and a memorandum with African Parks to support the Government of Mozambique in the redesign of the Quirimbas National Park. A highlight of this conference was Mateus Mutemba, Director General of Mozambique’s National Administration for Conservation Areas (ANAC), showcasing investment opportunities in 12 of Mozambique’s conservation areas. This presentation was the capstone of the investment forum that brought together investors and technical experts interested in helping Mozambique conserve its wildlife and improve livelihoods in some of the poorest areas of the country. This is a forward-looking step for Mozambique and one that could transform its vast protected area landscape and the rural communities that surround it. For PPPs to work in the NBT sector, it will be essential that local communities are engaged and that actual conservation results are achieved. Fortunately, there are examples in Africa of countries investing in their NBT sector over the last two decades, including Botswana, Namibia, South Africa, Uganda, Tanzania, and others. NBT is now a significant source of foreign exchange, taxes, and jobs in these countries. Similarly, Nepal, India, Vietnam and other countries in Asia promote NBT to preserve nature and enhance community livelihoods. Tourism is not a solution for all conservation areas, but in some cases can be an important factor to help countries preserve their wildlife and provide sustainable livelihoods to its growing populations. The $4.1 billion pledged by countries for the latest Global Environment Facility’s 7th replenishment identifies NBT as an investment option for countries to leverage GEF funds to promote NBT investments in this sector. The $131 million Global Wildlife Program already supports investments in wildlife-based tourism across countries in Asia and Africa and is poised to accelerate funding under GEF7 to this sector to promote investments in national parks as well as key transfrontier conservation areas. For the sake of the wildlife and the people who live with and around them, we encourage countries to explore the potential for NBT as an option for promoting conservation and enhancing livelihoods. PPPs for people and nature (P4N) is one way to make this happen! This blog originally appeared on the World Bank's Infrastructure & Public-Private Partnerships Blog.